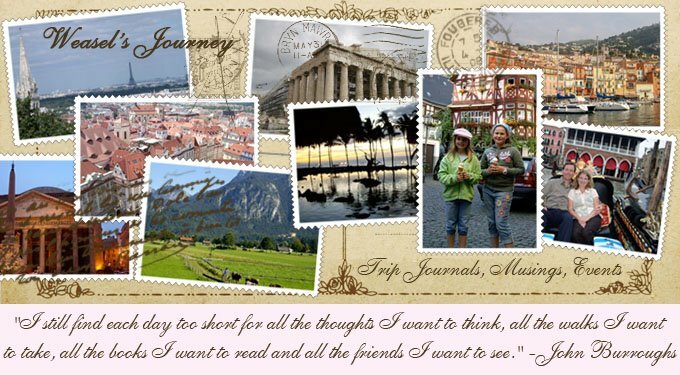 Weasel's Journey: A peek in the past, post 2. 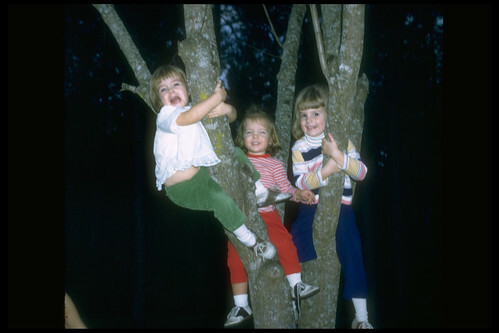 Here are my sister Marian, my cousin Cathy and me in a tree in my grandparents' backyard in South Georgia, circa 1970. Clearly, someone has posed us here for a picture, but my poor sister! I can almost hear the person behind the camera chuckling as he or she decides to snap the photo before rescuing Marian! "Hold on, dahlin', just let me get the flash ready. Wait, dahlin'. No, we HAVE to get this picture!" So cute. I enjoyed seeing you on Saturday:) It was so fun. I could have talked for hours!!! !